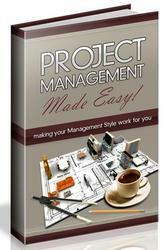 The mission critical application and logistics application correspond to the fundamental part of the project management. The data concerning the "entities" and "events" that have been accumulated in this fundamental part are collected based on the roles and interests of the user, forming the user's database (information services). The user extracts and processes these data by him/herself, taking out the desired data and using them. This is called the end user computing. Those incorporated as the end user computing are the applications for grasping and evaluating the results of project activities and the appropriateness of the processes, which are exemplified by the cost management, quality management, and others. 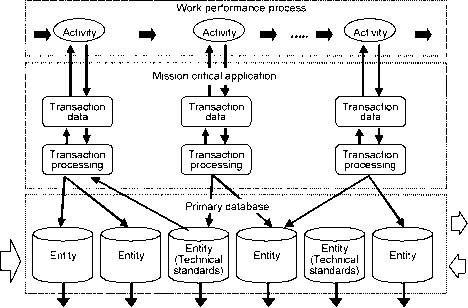 Therefore, common know -how on the management needs to be incorporated in the part for collecting as the user database the data that are suitable for these objectives. By means of the end user computing, the data become the "information" that fit the objectives of use by the user. However, misunderstanding may occur if the meaning of the original data is not understood. It is essential to check the meaning of the data by referring to the specifications of primary data. In Japanese businesses, it is a general practice that information service and end user computing are collectively called the "system of information". In order to ensure that end user computing is successfully implemented it is preferable to use off the shelf packages rather than investing in the development of specific applications for this purpose. The requirements on information of the user change rapidly. 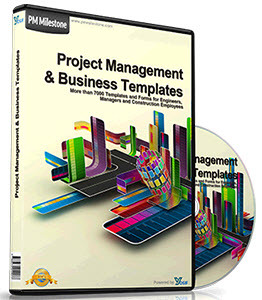 The project manager also requires information of a high grade as his/her techniques and skills are improved. Therefore, if such programs for providing information are developed, there will occur changes and expansions frequently. Even the user makes a request for immediate supply of information, it will not be available until the information systems personnel make a change, with the result that there will be frequent cases of being unable to keep up with the solving of problems. For this reason, the development of programs should be spared by means of the end user computing that employs the existing package software for data extraction and distribution. Also, the way of contact between the user and the computer heretofore was made by the method of fetching information by the user (Pull type). With this method, there arises the problem that important information of a project may not be conveyed promptly, being affected in many cases by the IT literacy of the individual user. To prevent this, it is desired to change it to the method of delivering information by the computer's side (Push type). By using the agent technology which is one of the latest information technologies, this can be realized, and a system that can be put into practical use has also appeared.